Experiential Marketing: Who and How? “How are you amplifying your brand or messaging beyond the event?”"
Last week Chelsea shared that experiential marketing is essentially amplifying your brand at events like conferences, expos, and personal events. With the South Island Field Days happening at the end of March and Central District Fieldays coming up, we scouted out companies who are using experiential marketing well and how they went about it! 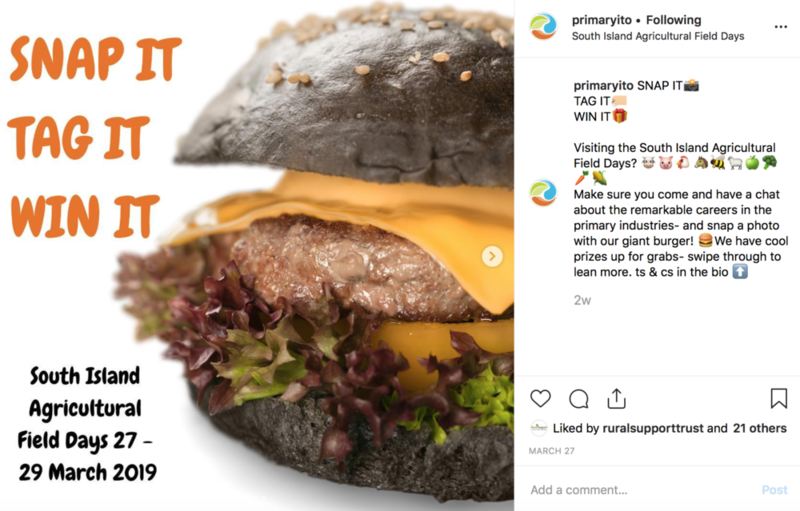 This creative campaign harnessed the power of social media to start a wider conversation, centred around something everyone loves…FOOD. Not only did it highlight learning and career opportunities, while creating a fun experience, people wanted to share online. It took what is normally a chat over a piece of paper and amplified it to a wider, engaged, community. Head to their instagram page to see some of the results. Why: This competition not only raised awareness for a business but showcased their positive relationship with an awesome community event. A social media frame is a classic way to drive in person, on the ground love to online love…with a competition. It’s an instant way to grow your online footprint and cement your brand as front of mind for your audience. South Fuels also included an archery competition and a Husqvarna Prize Pack so their site was the place to be! Why: NZ Young Farmers developed an Amazing Race for high school students to partake in as they travelled from Auckland to Mystery Creek. The idea was to visit and snap as many photos at varying locations along the way, learning about the breadth of the primary industries, and showcasing a range of career opportunities on the way. 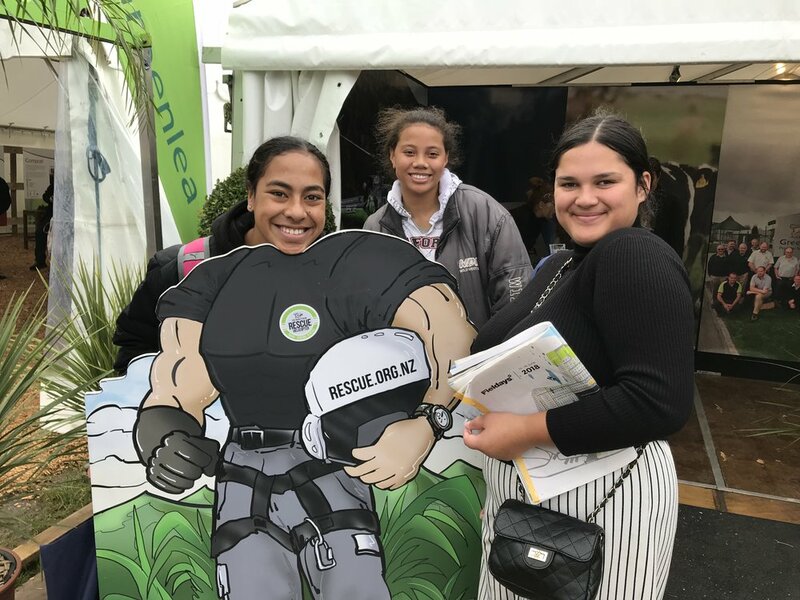 The destination was the careers hub at National Fieldays. 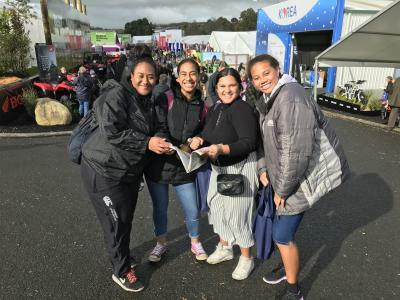 The kids had to submit photos to a closed Facebook group, which generated competition, conversation and a whole lot of brand engagement for NZYF. GRM Top Tip: If you want your audience to have a truly fun experience you need a team that buys into the “WHY” of your experience - for both you and your audience. Because, in the end, its all about relationships, right? Does this overwhelm and are you hitting a creative brain freeze? Chelsea is ready and waiting to meet with you to hear your business + event goals then brainstorm creative ways to create an experience for your audience and how to make them happen. We have extended last months special so you can bring in her expertise for just $47. Give us a squawk to learn more!